Taiwan’s hot springs are chock-full of magical minerals said to have all kinds of healing properties from improving your complexion to arthritis to helping you successfully. Taiwan is a volcanic area, perched between two tectonic plates. As a result, wherever you find yourself on the island, chances are you’re not far from a good soak spot. Some springs segregate the genders, while others offer a communal experience. Some are heavily built up, thanks to resorts and hotels taking advantage of this highly coveted experience, while others remain very close to their wild and untamed state. Up north near Taipei, Beitou historic village is a popular site, with a resort and hot spring museum to boot. A little further south, Taian Hot Springs is nestled in the mountains and is notable for the purity of its waters. And if you want to get really far-flung, check out a map of Taiwan: that tiny little dot in the middle of the ocean just east of the mainland is Green Island. It’s got beautiful beaches, mountains stretching into forever, coral reef, and seawater hot springs—one of just three known seawater springs on the entire planet. The world-renowned hot springs of Taiwan’s Beitou district. There’s nothing like soaking in hot water to relax your body and clear your head after an intense day. The soothing effects are amplified almost exponentially when you take your soak to a natural occurring and mineral rich hot spring. After finishing up a bout of urban cycling through downtown, Team opXpeditions Taiwan decided that we should all head over to Taipei’s Beitou district (the northernmost district in Taipei) to check out some of the local hot springs. Taipei’s Beitou district is world renowned for the high temperatures and crystal-clear water that feeds many of its publicly accessible hot springs. 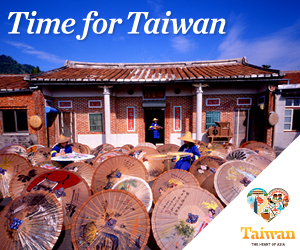 In fact, Taiwan has one of the highest concentrations and variety of thermal springs in the world. From hot springs to cold springs, mud springs, and seabed hot springs. 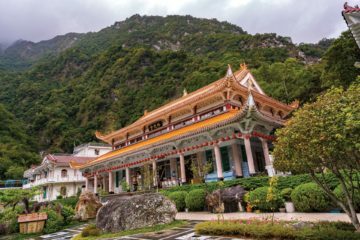 Beitou specifically has direct access to many hot springs and has, over the years, developed into a hotspot for hot-spring culture. Historically, bathing in hot springs was not all-that-common in Taiwanese culture until the introduction and spread of onsen (spring soaking) culture during the Japanese period. The practice was quickly adopted once the therapeutic benefits were realized by the local population. Some even suggest that the hot springs mineral content can help with chronic fatigue and eczema. Regardless, going for a dip in a natural hot spring is incredibly soothing for both the body and mind.